Number Runner comes from Lane Terasaki. 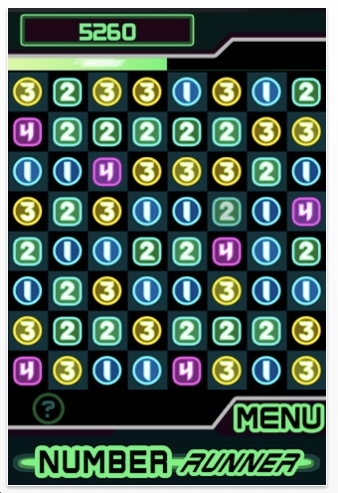 The object is to find strings of numbers: 1, 2, 3 or 2,3, 4 or 1,2,3,4 and swipe them to score points. The tiles can be in any direction and can even zigzag. 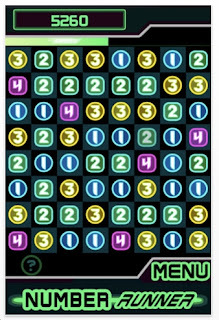 Harder levels: the numbers 1-5 are given. I've play tested this and thought it was dumb! But strangely, I kept going. So it's either not dumb, or maybe I'm getting dumb! It's free and surprisingly fun.